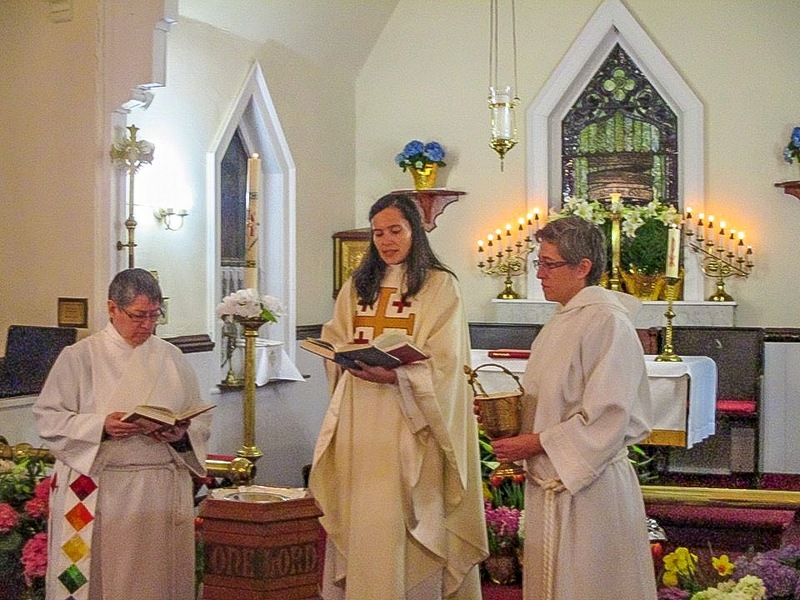 This past Sunday the supply priest at St. Mary’s Episcopal Church was the Rev Virginia Brown. I noticed that she was reciting the Eucharistic Prayer from memory. Curious, I asked her how long she had been ordained. I was amazed to learn that she had been ordained a priest 42 years ago! It turns out, she was the first woman to be ordained within her Episcopal Province. I love that the Episcopal Church ordains women to the Priesthood. I really don’t understand why a church would exclude woman from being pastors? Its discrimination with no place in the modern church. I am very thankful for Rev Beth Fain for being an incredible priest to myself and my family. I am elated that the The Episcopal Diocese of Texas chose Rev Kai Ryan to be its next Bishop Suffragan. And feel honored to have met Rev Virginia Brown this morning, and to hear her story of courage and calling against considerable opposition all those years ago.